As we have seen in previous posts, the introduction of trolley and omnibus service in the 1880’s & 90’s opened large tracts of former farm lands westward off the peninsula to development. Our subject is part of this trend and puts us back in touch with Mr. Llewellyn Morse Leighton. 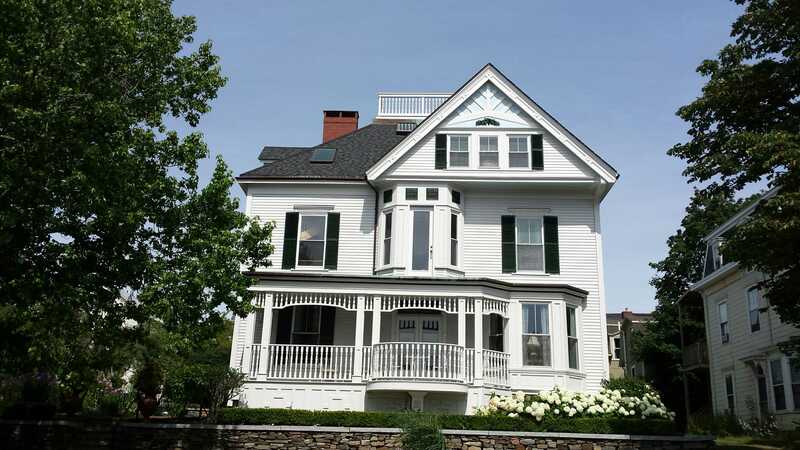 This entry was posted in Architecture, Glenwood Avenue, Glimpses, History, Images, Llewellyn Morse Leighton, Off the peninsula, Queen Anne, Shingle Style, Then & Now and tagged Architecture, Maine, Portland, Portland Maine, Queen Anne Style, Shingle Style, University of Southern Maine on August 30, 2017 by alewifecove.